Decided I like art with a bit of humour. Had fun working on these last week. I found a quick brush sketch of Ted’s and decided I liked the humour and colours and I’d try painting it. 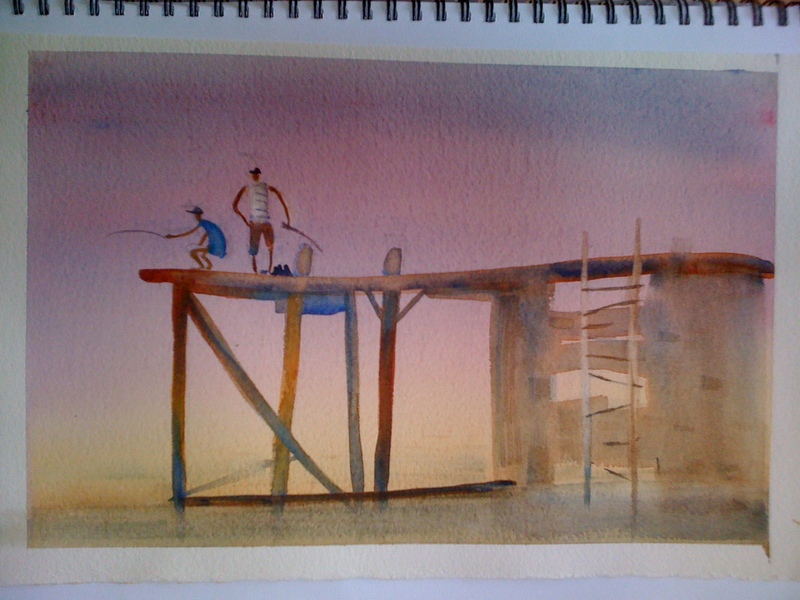 The Pier was done in watercolour class and taken home to finish. 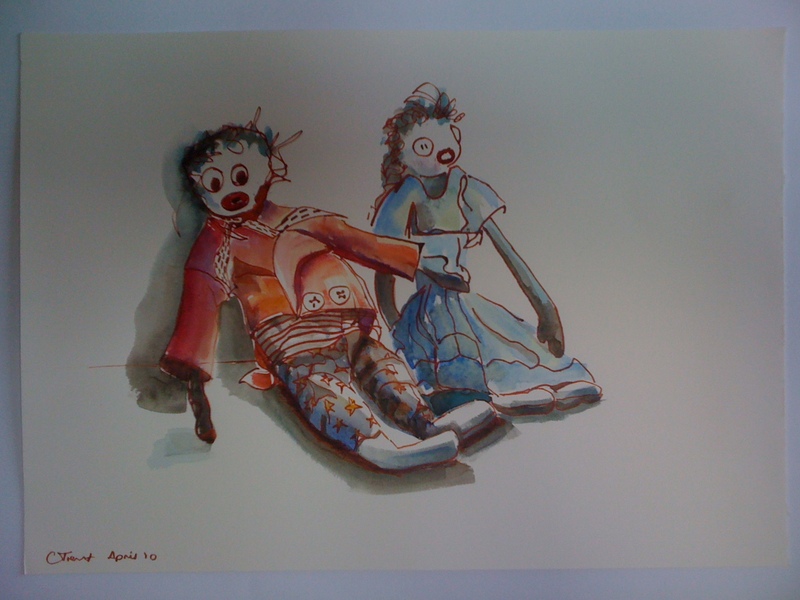 The rag-dolls were leaning against the wall on a side table and I decided to give them a go.